Many Many Happy Returns !! Everybody @ the party, Thanks thanks !! Happy Birth Lucky Day To You! I WISH MANY HAPPY DAYS EVERYDAY!!!!! GOD BLESS SHEENA！！ 今日はパーティ行けなくなっちゃいましたが きっと私のぶんもみんなで盛り上がるでしょう！ HAPPY BIRTHDAY, QUEEN OF THE R&R HEART!! 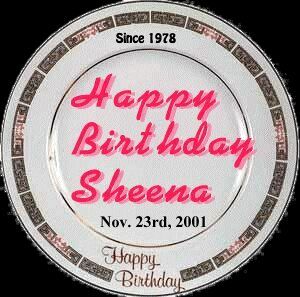 Happybirthday Queen of R&R Heart SHEENA!